Khun Temsiri is an expert when it comes to identifying market opportunities as well as client relationship management with many years of experience, satisfied clients and project successes to show for. She currently heads all sales operations for Syndacast Thailand and directs the team for new business acquisition. She’s also in charge of all client relationship management activities and identifying future opportunities for the business to grow within Thailand. Q Why did you decide to work for an online marketing agency? A: I decided to work at an online marketing agency to be part of the digital move as well as to venture into new concepts branching further from traditional advertising; for which the main goal is to build awareness. On the other hand, performance-driven digital marketing is about optimization and campaign management for the best measureable results and ROIs. Joining Syndacast has also allowed me to work in a multi-cultural setting with many nationals collaborating together and bringing in fresh ideas. Q: How would you describe your experience working at an online marketing agency? A: In 2 words – Mind-blowing. Coming from traditional advertising, everything was new and there’s a lot of information to digest. On the bright side, as expected, it wasn’t only about building awareness, but every campaign could be verified and statistics tracked for analysis. Also, everyone is a professional in their specific area, but very friendly and cooperative nevertheless. Q: How would you describe the working culture within an online marketing agency? A: I would say fast, innovative, always changing yet precise. Where I currently work, we take a ‘learning from past experience’ approach. We never have a plan, we have (many) plans! Q: What do you think it takes as a professional to succeed in the online marketing field? A: Because of the fast-paced nature of digital marketing, to succeed you’d probably be someone who is decisive, open-minded yet cautious and possess some background in the field or at least have some online marketing knowledge. Most importantly is the ‘passion’ to drive projects towards success and a strong interest in the digital landscape. Khun Chaipond is an expert in display and search advertising as well as web analytics. Not only is he a Google Certified professional but has gathered 6 years of experience specifically in the area of digital advertising and customer analytics for the IT and real estate industry. Q: Why did you decide to work for an online marketing agency? A: Referring to where I currently work, I joined primarily because the company is a performance-based advertising digital agency. It is thus a challenge in terms of strategically planning in order to deliver results and meet goals. In addition, the company has many different clients throughout Asia Pacific, each with different criteria and scenarios that I get to face. A: The working style is very independent-based and there is an abundant of digital advertising and communication tools that aid with managing campaigns. This helps a lot with work efficiency and thus enables me to allocate work time productively and fully towards optimizing campaigns. A: Fast-paced and promotes freedom of thought. 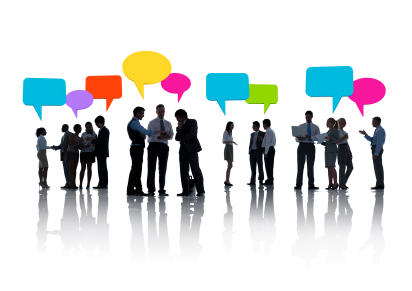 Communication and cooperation among peers is great whereby everyone has unique expertise and can be considered a specialist for different areas. Where I currently work, employees are empowered, so that thinking out of the box, coming up with new ideas as well as making decisions on them are supported. A: I would think you need to have a good degree of creativity, be assertive and dare to make decisions. Most importantly, you would be highly efficient, flexible and adaptable to change. 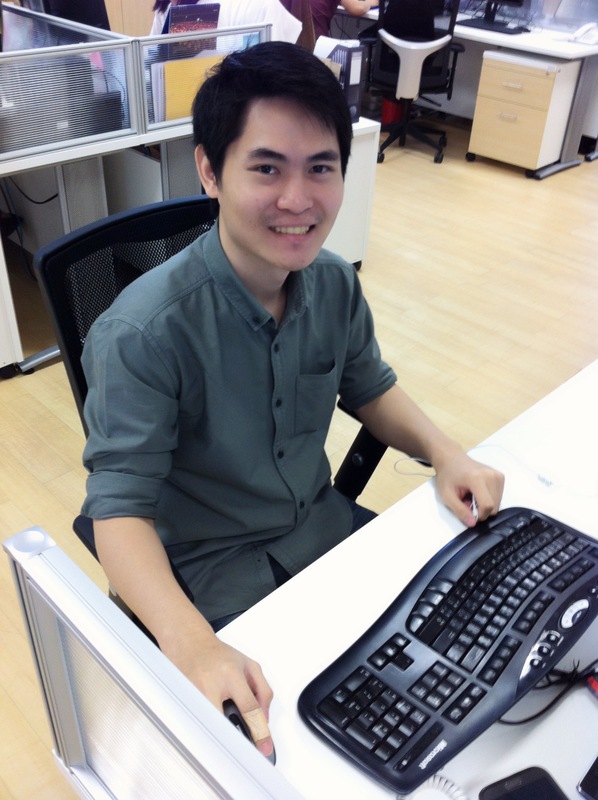 Khun Chananchida is a graphics and design specialist. For the last 5 years, she has gathered considerable experience in graphic design and multimedia ranging from web design, creating video presentations to preparing print materials. A: I’m interested in the online marketing field because nowadays online media has a powerful impact on people. Today’s generation is all about online media and design. Thus, I decided to join the company I’m currently at since it is considered a leading online marketing company in the region. As such I believe the nature of the agency gives much room for me to share my design ideas and make use of my design skills to the max with challenging projects I come across. Finally, it is an opportunity for me to learn and gain more experience about the online marketing business. A: I would say it’s interesting and I get the chance to design many different types of marketing materials ranging from web design, banners, social media items, eDMs, info graphics, interactive banners and much more. The work environment is challenging given the different requirements from clients throughout the region and the pace is rather fast. However, with good teamwork and collaboration, difficult projects get achieved. A: A culture made of professional team work that is both efficient and effective, whereby a healthy work-life balance is recognized. There is good respect among colleagues as well as support and collaboration. A: Lots of team work spirit, highly responsible with good time management skills. Attention to detail is also an important aspect, I would think, as well as continuous learning and keeping up-to-date with online marketing trends and media. Many thanks to Khun Temsiri, Khun Chaipond and Khun Chananchida for contributing to this article and sharing with us their backgrounds as well as experience working at a digital marketing agency in Asia.